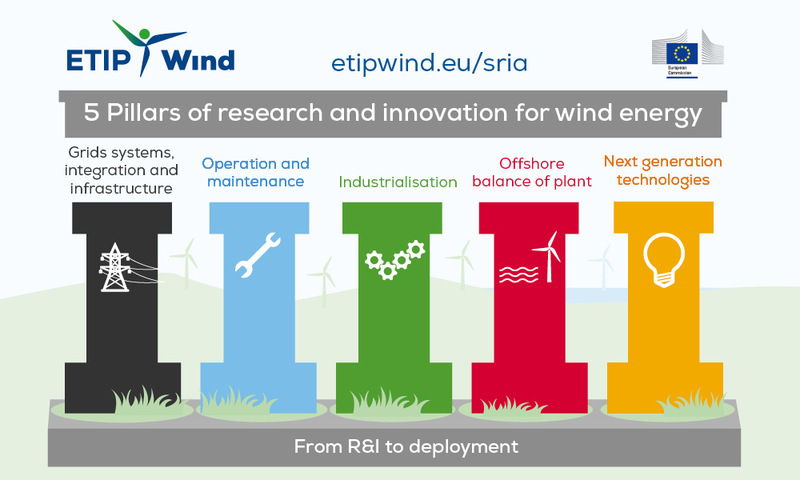 After the success of communicating the wind industry’s main R&I focus areas in the Strategic Research and Innovation Agenda the industry has now been asked by the Commission to advise more concretely on topics that could fit into the H2020 Strategic Work programme for 2018-2020 and thus support the energy transition to renewables. The budget for “energy challenges” in the work programme will be around 2.38 billion € hence almost 50% of the entire work programme and a budget increase compared to previous work programme. The ETIPWind Steering Committee sees its primary task in the coming 6-8 months as being active in delivering a clear, united feedback, from our sector to the Commission while holding an active and open dialogue with them, on what priorities the united wind sector sees as vital to drive down the cost of renewables, ensure EU leadership and deliver the next generation of research driven skills at university and industry level. Aidan Cronin Chair of the ETIPWind Steering Committee. The negotiations on outlining the actions for the coming Strategic Work programme has already begun and will continue until late 2017. The ETIPWind will follow the process closely until the release of the programme in January 2018.